Customer experience management (CEM) is the practice of understanding customer feedback to improve customer experience. Customer experience management combines technology, strategy, and resources to improve how the customer experiences your brand. This leads to improved customer satisfaction and loyalty. 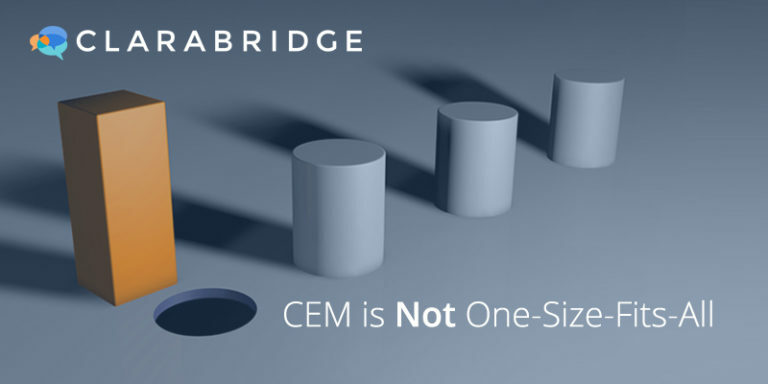 CEM usually includes listening to unsolicited customer feedback, soliciting customer feedback via surveys, advanced analytics, and using the data to drive operational changes. Customer experience management software pulls together and analyzes customer feedback data to provide a single, complete view of the customer. The goal of customer experience management activities is to refine the customer journey through each touchpoint. This leads to increased revenue and happier customers. Organizations need to focus on CEM because the customer experience is so important. It is a differentiator in today’s marketplace and has a profound impact on business success. How profound? 55% of consumers would pay more for a better experience. Also, according to Forrester Research, the revenue impact from a 10% improvement in customer experience can translate to over $1 billion in cost savings. Customer experience management software and strategies provide businesses with a way to give customers a good experience every time they interact with a brand. CEM includes taking in customer feedback, correlating the feedback to business metrics, and analyzing them together. Businesses use the data to improve front-line engagement with customers and to plan strategic initiatives that lead to a better customer experience. Clarabridge is a pioneer in the customer experience management space. From leading-edge customer experience management software to expert CEM consulting, Clarabridge helps business put feedback to work across their business. Clarabridge understands both the big picture of CEM and the smallest details, starting with the customer journey map all the way down to individual social media messages. That’s why leading brands trust Clarabridge to empower and guide their customer experience management programs.